Make the mealtime fun with these healthy and yummy Recipes for Baby Food – 6 Months. Now that your baby is 6 months old, you can add some flavours to your baby’s food. Therefore this is the best time to prove your cooking skills. Taking care of a 6-month baby is tough. We completely understand you hardly get time to try complicated dishes. NOTE: MAKE SURE THAT YOU DON’T INTRODUCE 2 NEW FOODS TO YOUR BABY ON THE SAME DAY. ALWAYS MAINTAIN A GAP OF 2-3 DAYS. Looking for Recipes for Baby Food – 6 Months? Here you go. Banana and Jowar are very healthy for your baby. But ensure the banana you use is ripe. Unripe bananas are hard to digest.6 month baby cannot digest it well. We have tried one of the simplest Banana recipes, banana and Jowar Sheera for you which you can cook any time within no time. Let’s now see the procedure. 2. 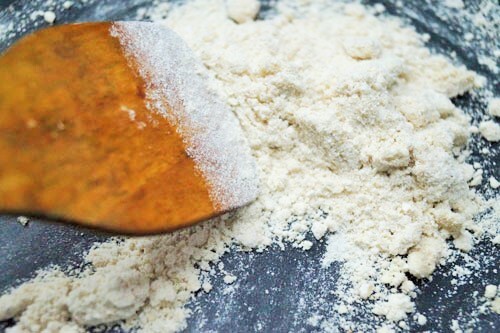 Add the Jowar flour to it and sauté lightly until it turns light brown. Be careful while doing this. Do not burn the flour. 3. Add rice powder to this and stir lightly. 5. Allow it to cook for 5 minutes on medium heat. 6. Peel the banana and mash it well. 7. Switch off the flame. Now add this banana mash to the mixture and mix well. 8. You can add some breast milk or baby formula to make it creamier. 9. 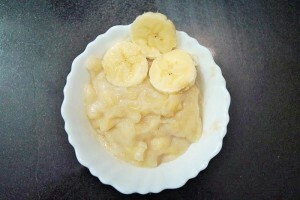 Serve this yummy sheera to your baby. Try this at your home and check out how eagerly your baby waits for the food you serve. Drop in your comments and let us know if you have a similar recipe. We would love to share it with other moms. Share with us your unique recipes which you feed your bundle of joy. Help us make this list longer, healthier and yummier. 2. Halve them and core them. 3. Dice them into small cubes. 4. Place a saucepan with water on your stove and allow the water to start boiling.Put the diced apple cubes into this saucepan with water. 5. 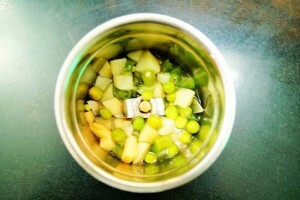 Allow the apple cubes to boil until soft. You can check if the apple pieces are cooked by inserting a toothpick or trying to cut with a knife. If the apple piece cuts easily, that means it is cooked. 6. Once cooked, puree the apple pieces along with the water used for boiling. 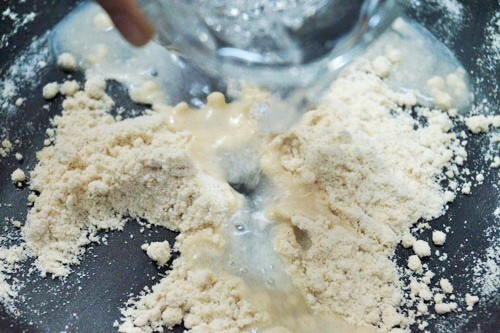 Do not use too much of the water since you are making a puree, not a juice. 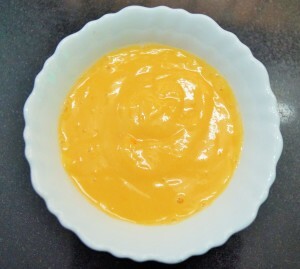 Serve this puree in your baby’s bowl and feed it to him/her. 1. Roast one tablespoon of sooji till it turns light brown. 2. Heat half cup of water in a separate pan and let it come to a boil. Add an equal amount of sugar as that of sooji to the pan. 3. Add in one and a half teaspoons of ghee to roasted sooji and stir a little. 4. 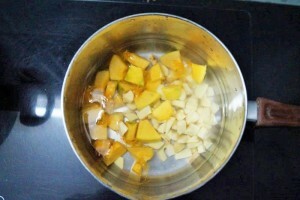 Add in boiled water from the pan to the roasted sooji and continue stirring till you get the desired consistency. 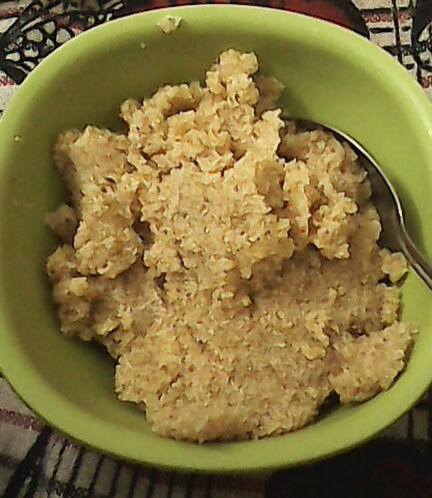 Your sooji ka halwa is ready. Tip: You may use sulphur free sugar for your little baby because it is healthier. Also, maintain a loose watery consistency for it is easier for baby to swallow it. 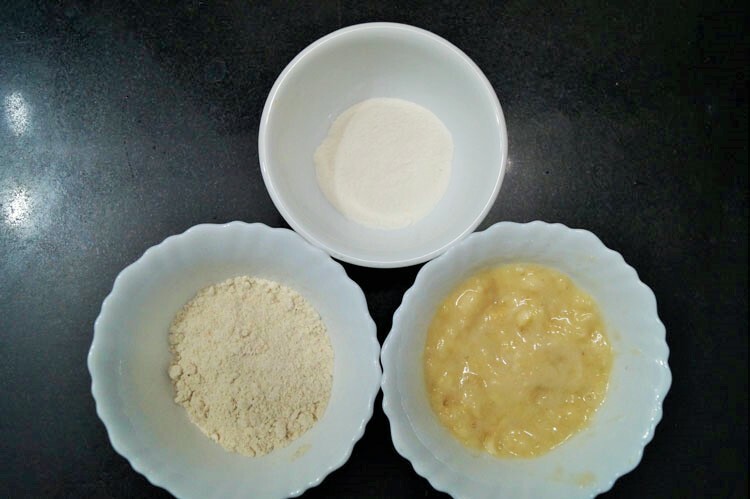 Straight from the experts, here is an amazing recipe for Baby Food – 6 Months which we named as Baby’s First Kichidi. Most of the mothers are skeptic about feeding a 6-month baby with Kichidi. Let us tell you, Kichidi is a super cool food for a 6-month baby. 2. Allow it to soak in water for 15-20 minutes. 3. Wash, peel and dice the carrot into small cubes. 4. 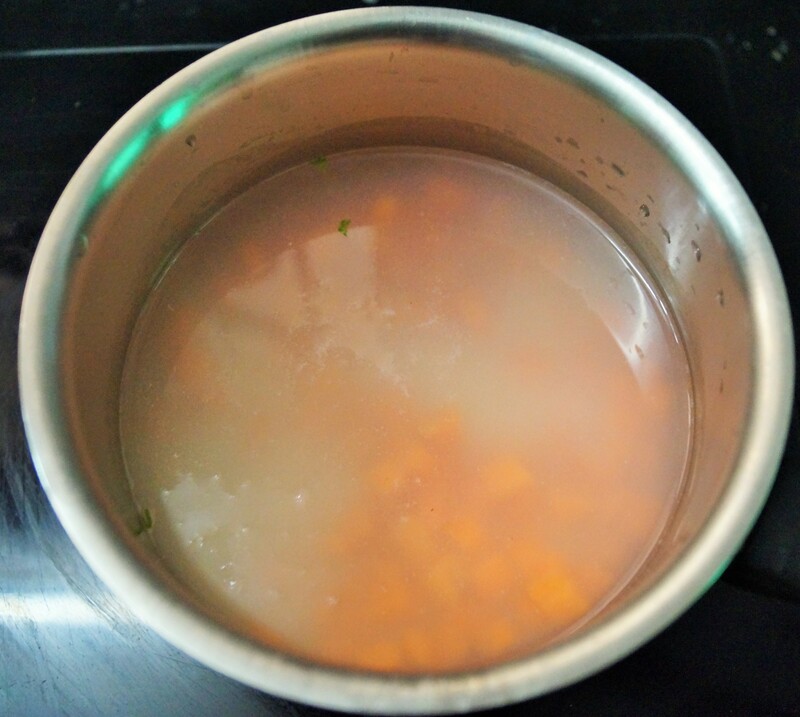 Put the carrot, rice and dal along with water in a pressure cooker and let it cook until 4-5 whistles. 5. You can boil it in a regular dish if you don’t want to use a pressure cooker. But since Carrot takes longer to cook, boil the Carrot separately and add it to the dal and rice later. 6. 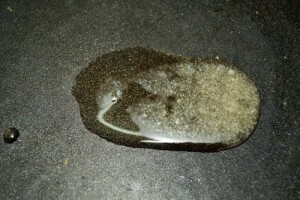 Once soft, drain out all the excess water, if any. 7. Mash the carrot, rice and dal. 8. You can add ½ tbsp of ghee to enhance the flavour. We hope you liked the recipe. Now share with us your kichidi recipe. Drop in your comments. 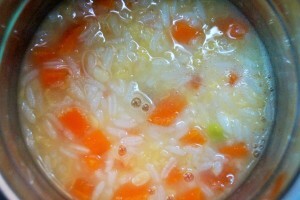 Rice soup is very good for a 5 month old baby since it is an extremely good source of proteins, vitamins and starch. 1. Boil water in a saucepan, add the rice to it and allow it to cook. 2. Once the rice becomes soft, blend it along with the water. Blend to a liquid consistency. 3. Now pass this through a sieve and make sure the soup is smooth and there are no rice grains. 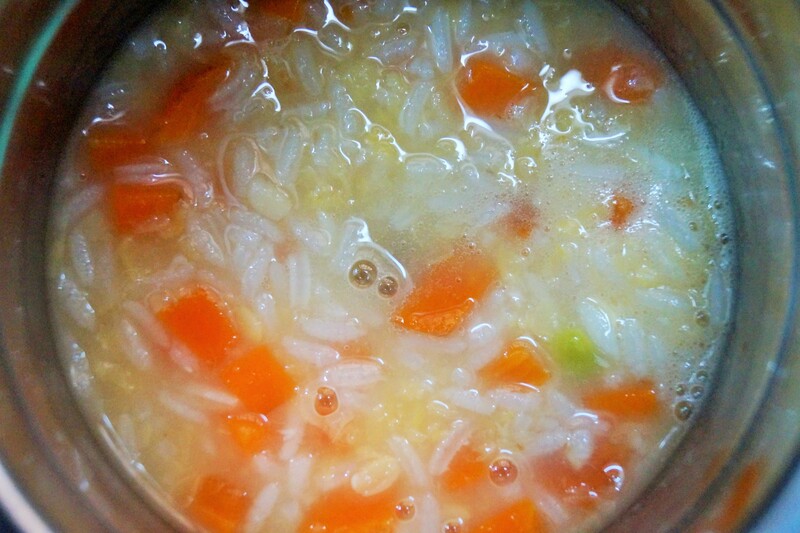 Note: After feeding this soup to your baby for 2-3 times, and once you make sure that your baby is adjusted to this soup, you can add vegetable stock instead of water to cook the rice. 1. 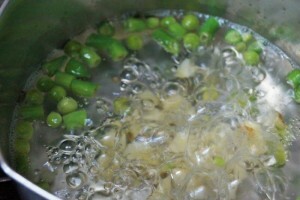 Boil the chopped vegetables in the water until soft. 2. Remove the vegetables and pass the water through a strainer. 3. This water is the required vegetable stock. Do not add salt or any other condiments and spices. Sweet Potatoes are rich in vitamin and fiber making them an excellent first food for babies. They are also very easy to digest. 1. Peel and dice the sweet potato into small cubes. 2. Wash the rice thoroughly. 3. 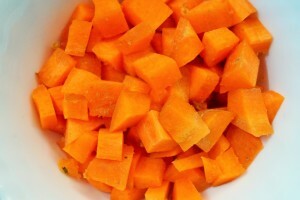 Add the diced sweet potato and rice to a saucepan with water and bring to a boil. 4. Let this cook for about 3-40 minutes until the rice and the sweet potato are soft and tender. 5. 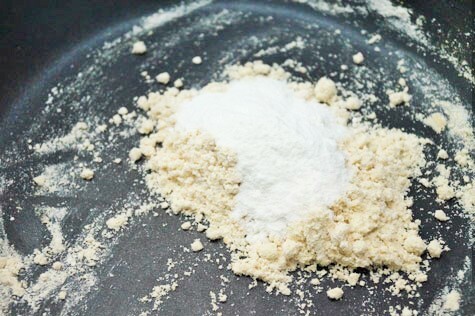 Once done, blend this mixture together using a blender and feed it to your baby. 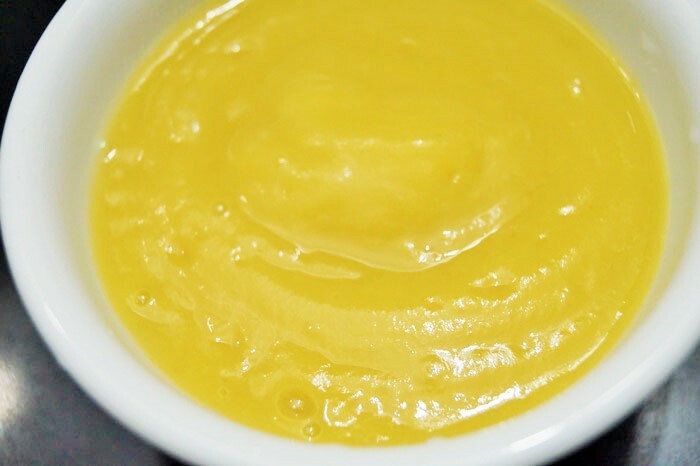 Are you in search of a potato recipe for baby food – 6 months? 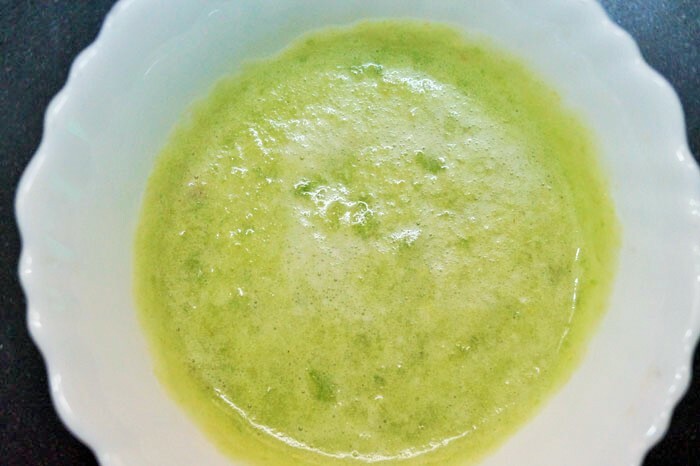 Check this Potato Beans and Pea Puree recipe. Potato is the king of all vegetables. How can you not introduce this magical vegetable to your baby? 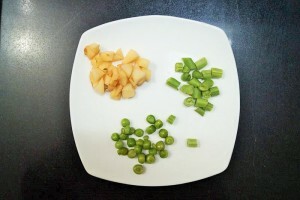 Here is how you can introduce potato to your baby along with peas and beans. 1. Wash the beans and cut off the ends. Chop the beans into small pieces. 2. Peel and chop the potato into small cubes. 3. Wash the shelled peas. 4. Add all the vegetables to a sauce pan with water and bring to a boil. 5. Cook until all the vegetables are soft. 6. 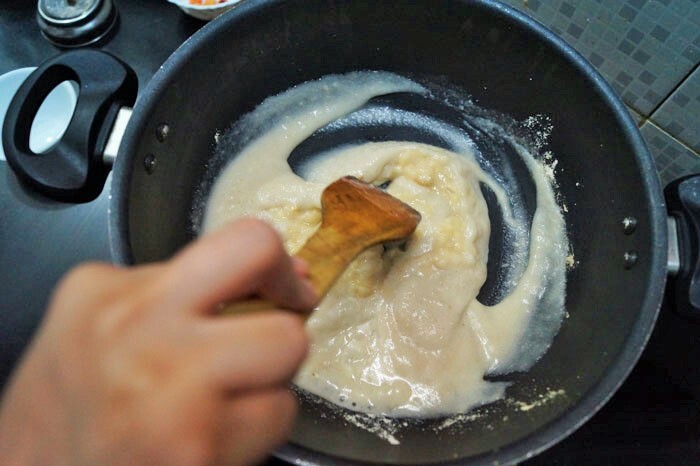 Once done, puree to a smooth consistency in a blender. 7. Sieve this puree before feeding it to your baby if you don’t want a grainy consistency. You can also add little ghee to this puree to make it healthier. Do you have a different way of cooking this recipe? Share with us right away. Drop in your comments below and we shall be more than happy to get in touch with you. Check out our new recipe soup invention for baby food – 6 months. Its sweet potato with pumpkin soup. 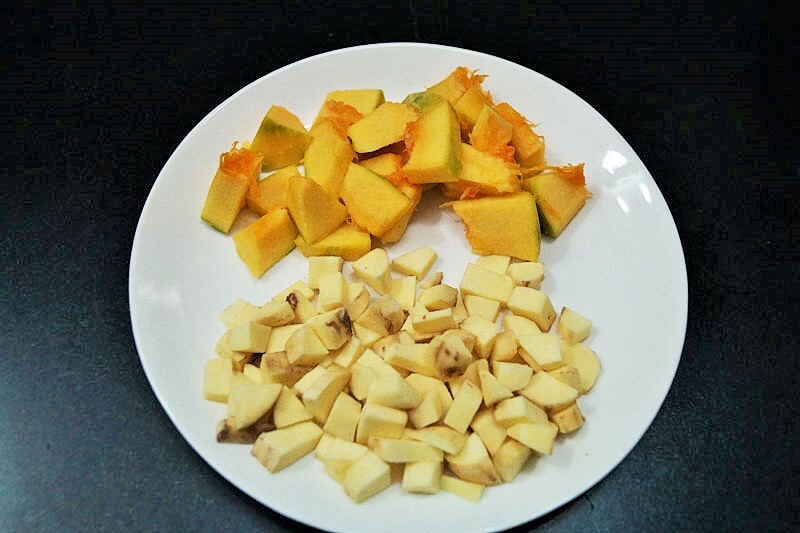 Sweet potato and pumpkin are the healthy ways of adding flavour to your baby’s food and soup is the easiest way of introducing healthy diet to a child. 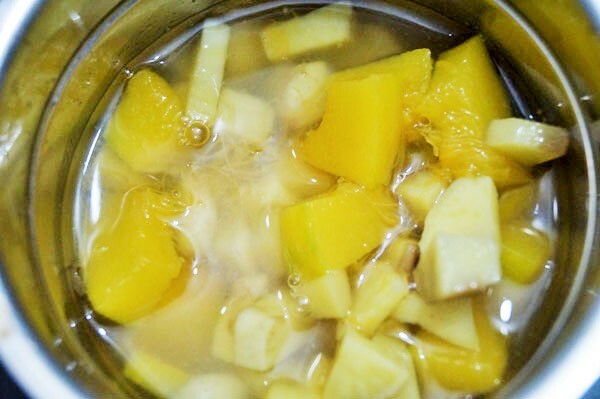 Try this simple recipe at home and pave a path to healthy diet of your baby. 1. Wash and peel sweet potatoes and pumpkin and chop them into small cubes. 2. Put these cubes in a saucepan with water and allow them to boil until tender. 3. Alternatively, you can use a pressure cooker. Put these diced cubes along with some water in a pressure cooker and allow them to cook until 3-4 whistles. This ensures the vegetables are cooked completely. 4. Once cooked, blend these pieces along with some water in a blender. Since it is a soup, you can blend it till it turns in to a soup consistency. 5. If you want, you can convert this soup into a mash by adding little less water. 6. Once blended, pass this mixture through a sieve so that the soup is not grainy. 7. Feed this at a lukewarm temperature to your baby. No doubt, your baby would love this. Nothing can beat vegetables. Check this recipe of Baby Food – 6 Months specially made for mothers like you. 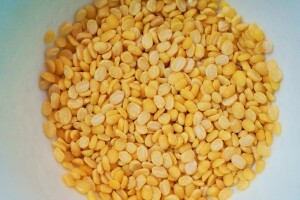 Red Lentils are an extremely rich source of Iron, Protein and Fiber. 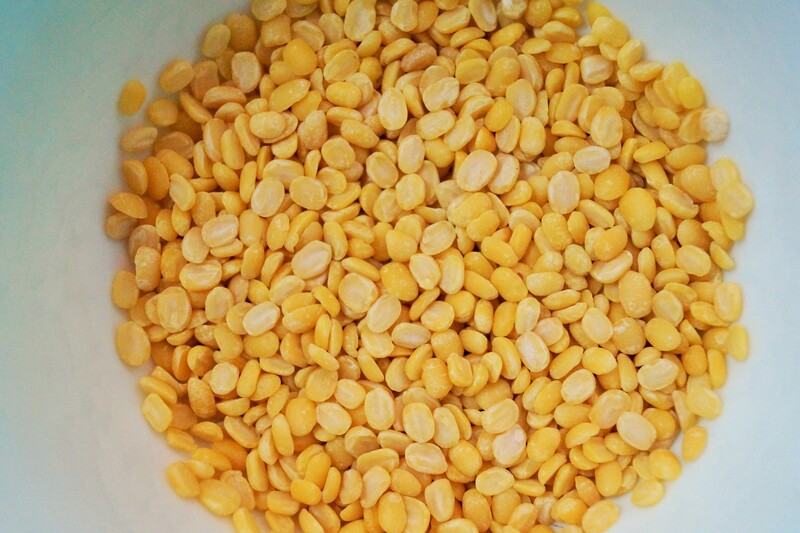 Red lentils cook faster than most of the other lentils. Vegetables are extremely healthy for anyone. Induce the advantages of onions, red lentil, carrot and sweet potato to your baby in a super tasty method. 2. Dice the carrot and sweet potato. 3. Heat oil in a sauce pan and sauté the chopped onion until it turns translucent and soft. 4. Add the diced carrot sweet potato and sauté. 5. Now add the red lentils. 6. Pour water over this mixture and allow it to boil. 7. Cook for 20-30 minutes. 8. Once done, puree the mixture in a blender until it forms a soup consistency. 9. Feed this yummy nutritious lentil and veggie soup to your baby. Try this recipe and let us know how it turned out for you. Drop in your comments below and share with us if you have a different way of preparing sweet potato with pumpkin soup.